You must have $50.00 of merchandise in your cart that does not include Gift Certificates in order to get free shipping. 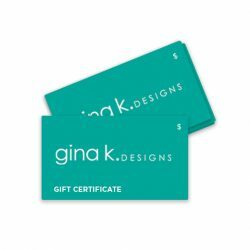 Gift Certificates do not qualify for free incentives because they are used the same as cash and the incentive will go to the person who uses the certificate if their order qualifies. Gift Certificates will be emailed to you to print and give to the recipient. Gift Certificates DO NOT count toward free shipping. You must have $50.00 of merchandise in your cart that does not include Gift Certificates in order to get free shipping. 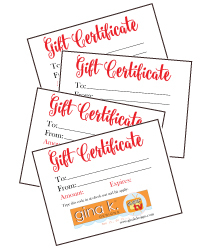 Gift Certificates do not qualify for free incentives because they are used the same as cash and the incentive will go to the person who uses the certificate if their order qualifies. Gift Certificates will be emailed to you to print and give to the recipient.